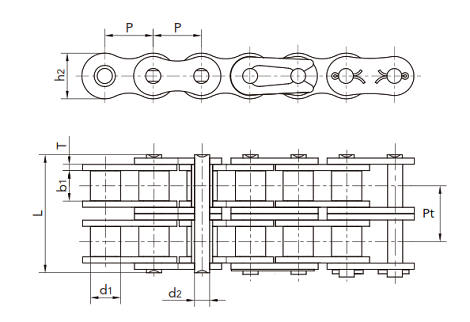 The most important roller chain dimensions to measure is the Pitch (P), Roller Diameter (d1) and Inner Width (b1). These three dimensions will help you determine what roller chain size you have. Below are the roller chain size charts for single, double and triple strand ANSI roller chain. Dimensions not matching? 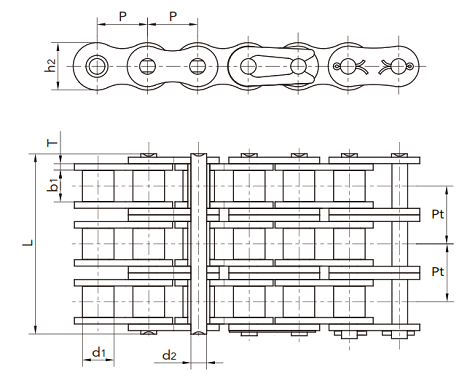 Checkout our Metric or Non-Standard roller chain.